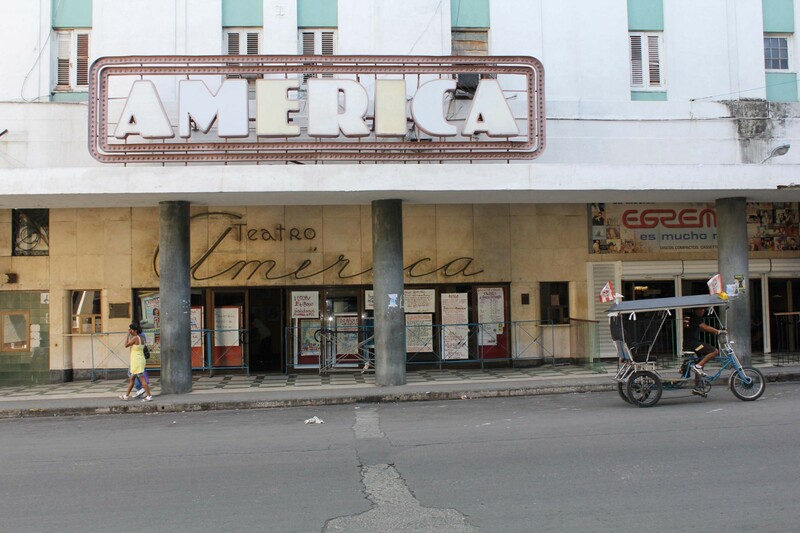 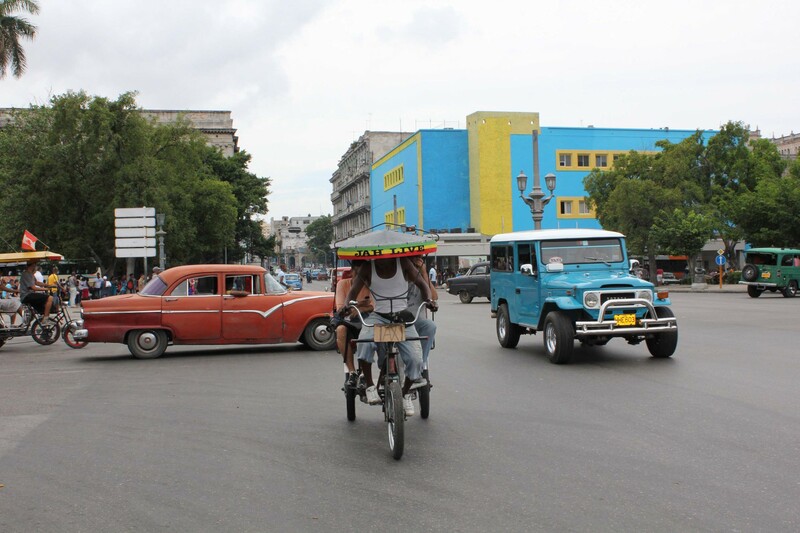 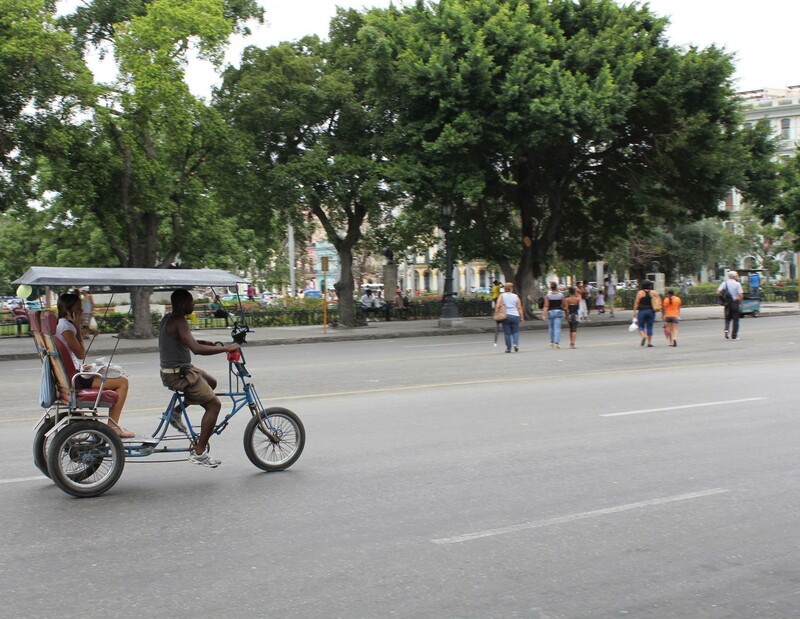 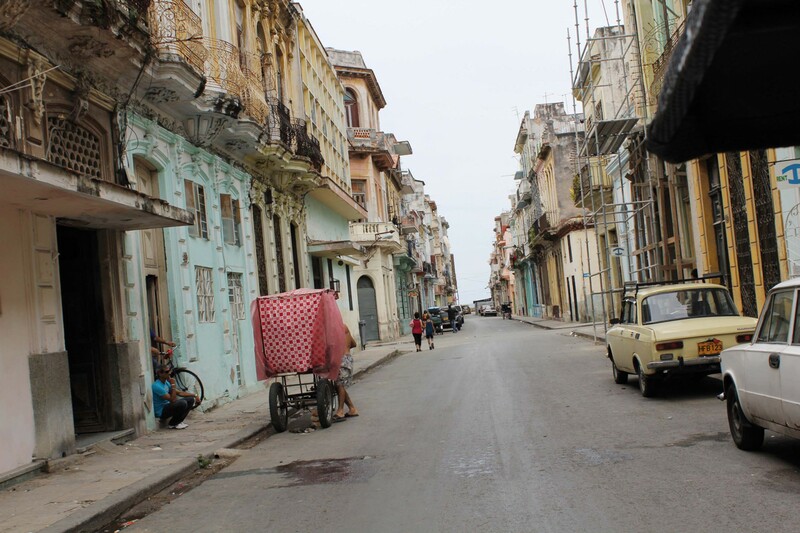 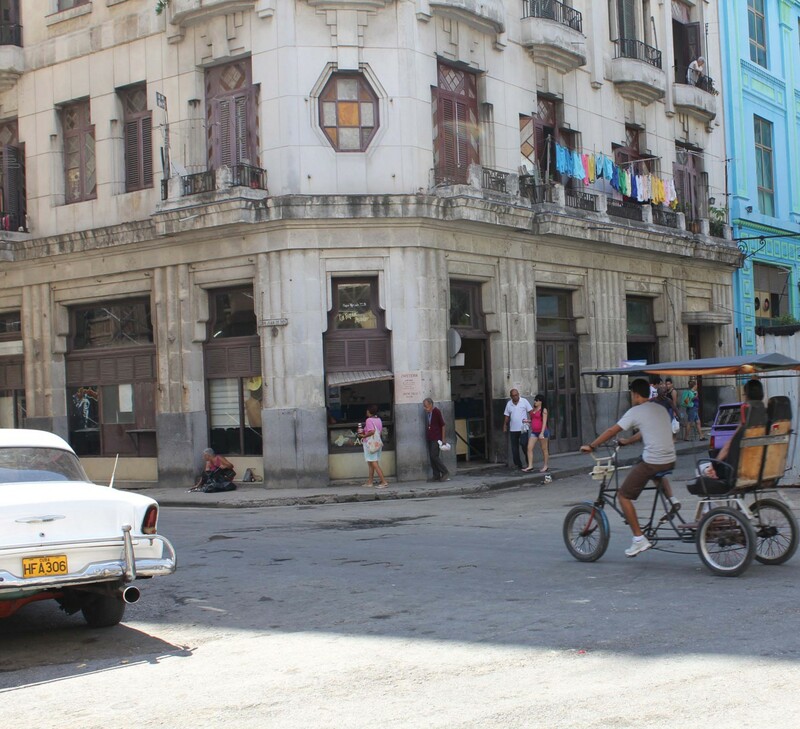 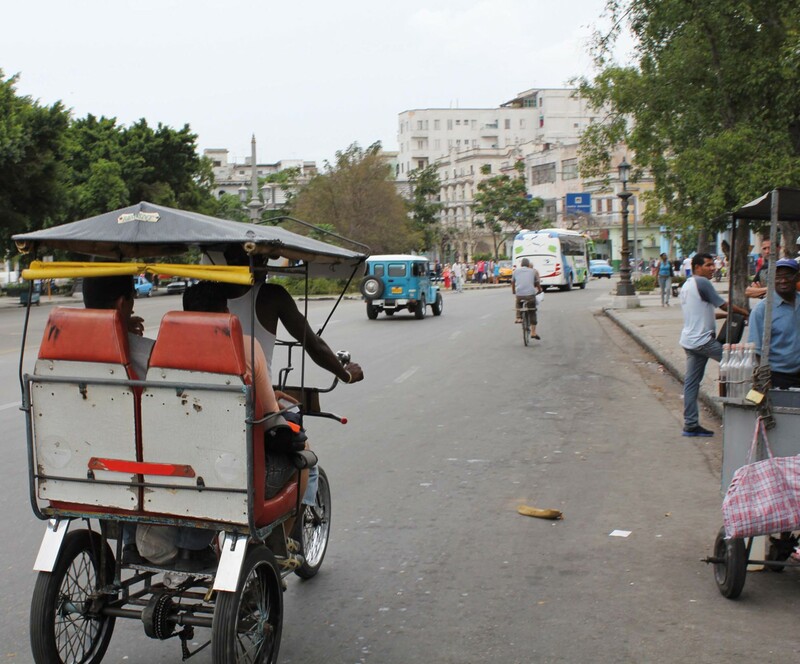 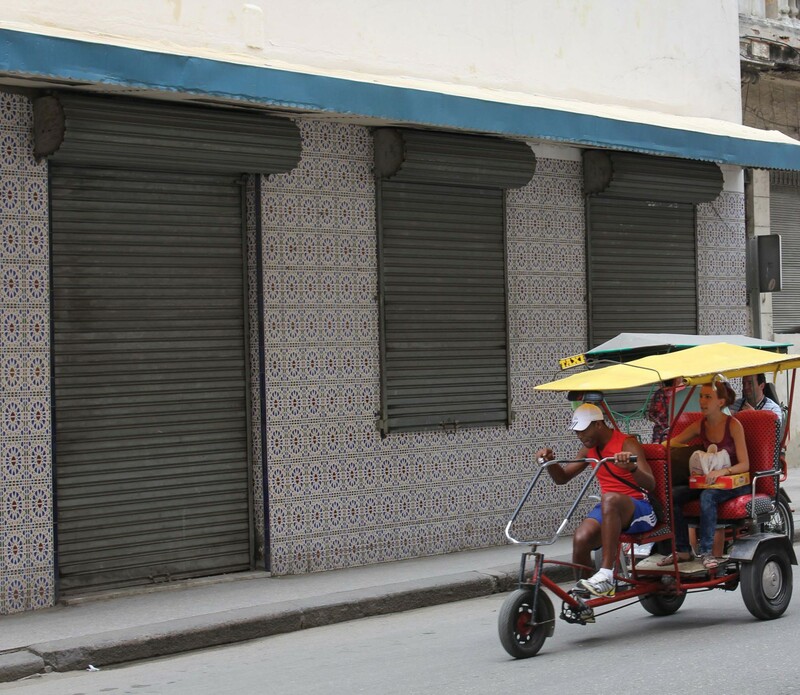 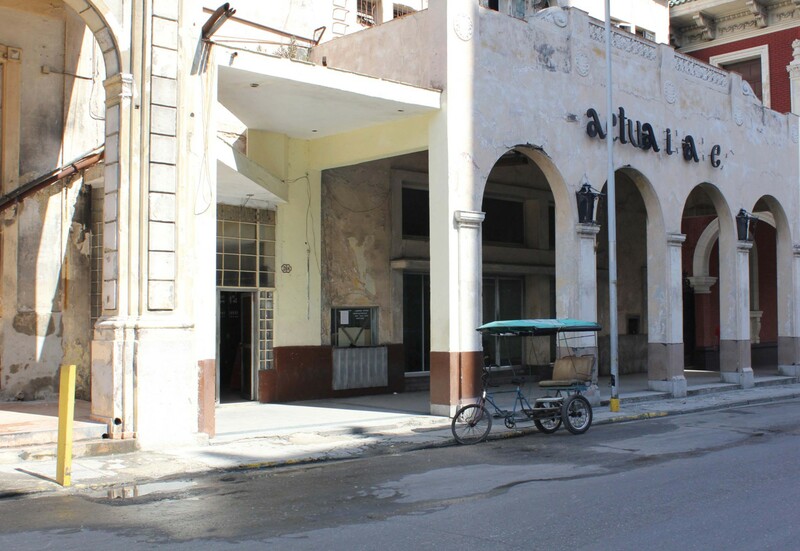 The pedicab – one of the real ones that carry tourists around Havana – is positioned in vertical, as it was parked. 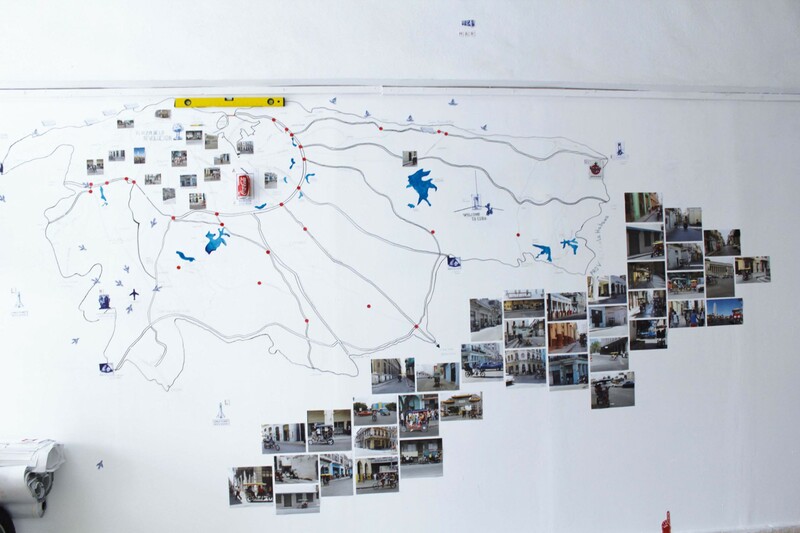 On the wall a large map of the Cuban capital and a choice of photos of pedicabs, that is the result of several days photographic campaign around the city. 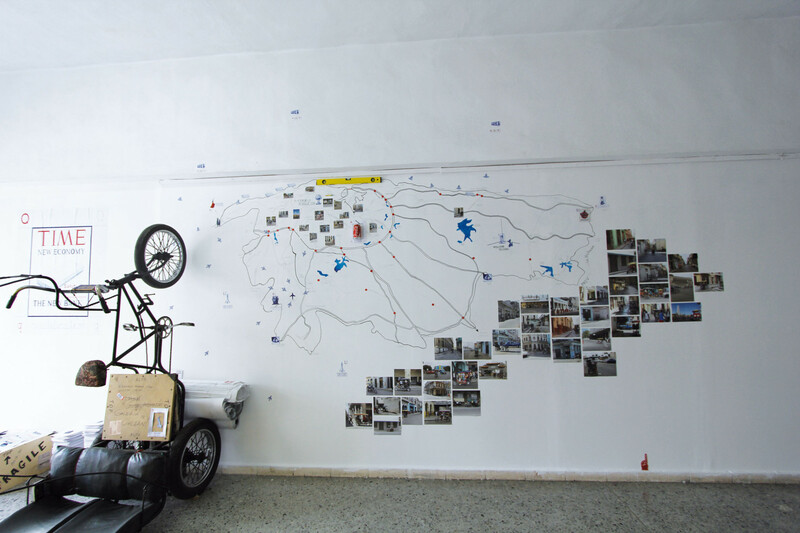 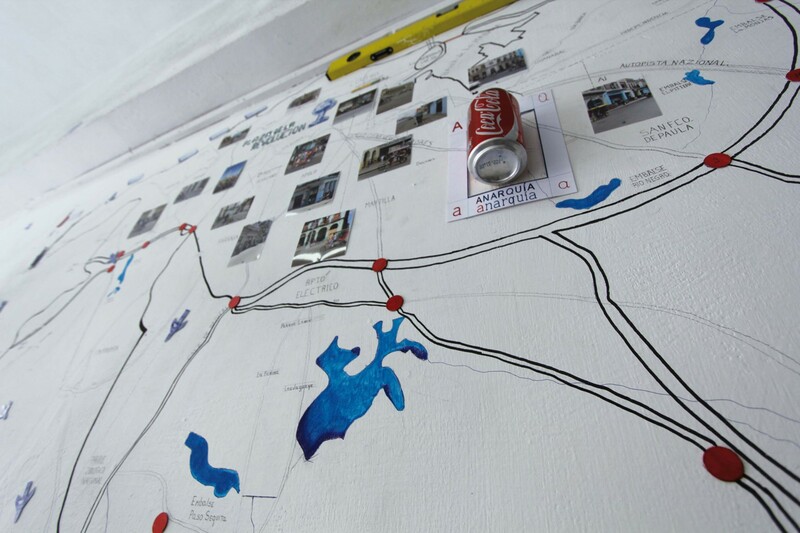 The pedicab, combined with the map, the photographs and the ABC cards, becomes the symbolic vehicle for an imaginative trip through space, language and knowledge.